Video phone for the Velbus home automation system, based on a Doorbird video phone. 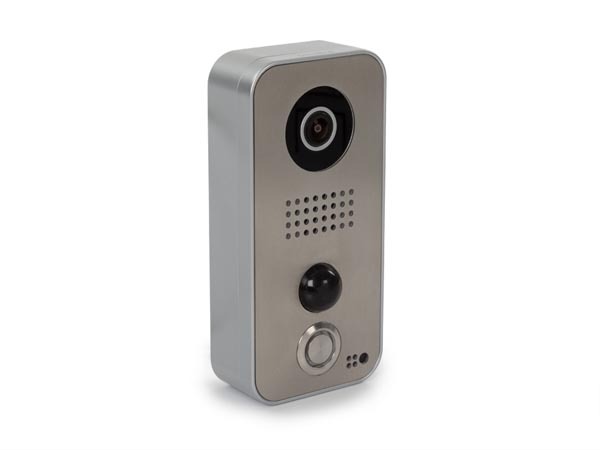 Control it on your tablet or smartphone with the Doorbird iOS or Android app. Connect it to the Velbus bus cable and let the door opener, bell button and motion detector trigger any action in your Velbus system. current: 200 mA/15 V stand-by, 300 mA/15 V max. Q. How to reset the video door station to factory settings? A. Make sure your video door station is connected by a LAN cable to your network, and that your mobile device (smartphone/tablet) is connected to the same network. Make sure you have access to the administrator's email (as entered in the Doorbird app in Settings > Administration). Go in the Doorbird app to Settings (gear icon) and select "Reset to factory defaults". Then follow the instructions on the screen. At the end of the reset procedure, all settings and data will be deleted in the video door station and in the cloud, and a new Digital Pass (with new user and administrator account details) will be sent to the administrator's email address. All existing user and administrator accounts will become permanently invalid. Q. How to remove access to certain users? A. If you want to remove access to certain users, you can delete the corresponding user account from the video door station. Go in the Doorbird app to Settings (gear icon) > Administration and log in with the administrator account (administrator name and password can be found on the Digital Passport that was delivered with the video door station). Tap on the user's name in the list of users, scroll down and tap on "Delete". CAUTION: once a user is deleted, this combination of user name and password will be permanently invalid and can no longer be recovered. New user accounts can be created by the administrator, but the names and passwords of these will be randomly generated by the app. Q. I already have a Doorbird videophone, can I connect it to my Velbus installation? A. 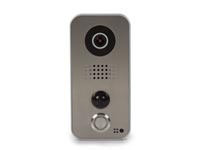 The Velbus videophone has added hardware inside to make a direct connection possible with a Velbus installation, and a licence for the Velbus server is included in the price. A standard Doorbird model cannot be connected to Velbus. Q. How to connect an electric door lock to the VMBVP01? A. The VMBVP01 does not have a direct output for a door lock. Instead, the door lock needs to be connected to a Velbus relay. Then create an action in VelbusLink between the VMBVP01 "Door" channel as initiator, and the relay as subject. This action can be "0412. Restartable timer" (eg.3 sec. ), "0104. Momentary", or any other suitable action. The Velbus relay can be situated in the electrical cabinet (in that case the door lock needs to be wired to the electrical cabinet also), or it can be located close to the VMBVP01 and connected to the bus there. When using a VMB1RYNOS mini-relay, note that this cannot handle the necessary current to directly control the door lock. Instead, let the VMB1RYNOS relay control a power relay, which in turn switches the door lock.